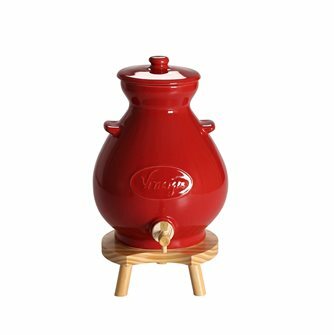 Ceramic vinegar makers from 4 litres to 10 litres, in colour or earth colours, models with tap. Vinegar makers in traditional French style stoneware, ceramic bvinegar makers with a cork stopper. Reg stoneware vinegar maker - 2.5 litres. 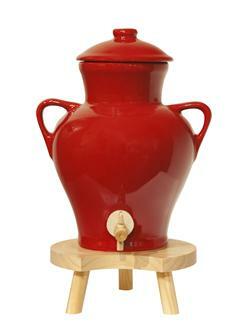 Red stoneware vinegar maker - 4.5 litres. 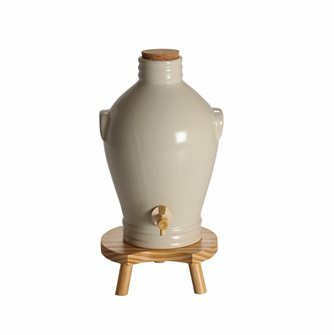 Off-white stoneware vinegar maker - 3 litres.